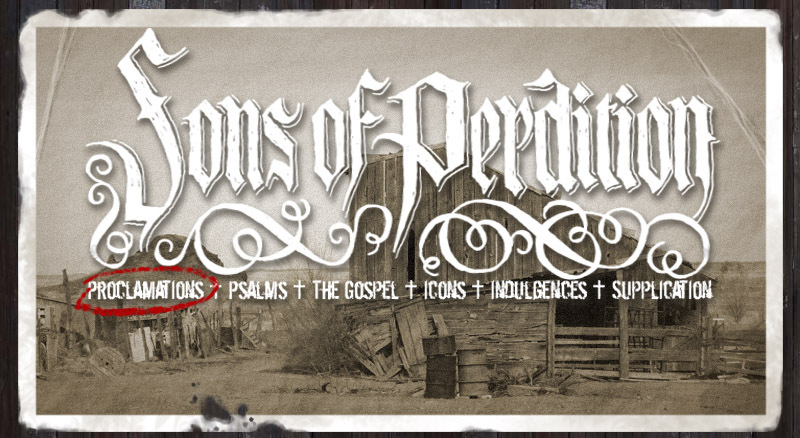 The new Sons of Perdition album "Psalms or the Spiritually Dead" will be coming out soon. We haven't set a release date as of yet, but we'll post it soon. The black and vile ink of artist Christoph Mueller is to don the album cover. We've already added the track listing to our site, if you're curious to see which Psalms the loathsome Zebulon Whatley is to secrete unto the world. More info coming soon. The Rosetta Stone exhibiton was a blast and we're happy to have had a small hand in it. We'd like to thank the artists and visitors who came, but we'd especially like to thank Gravewax Records very own Katja for her excellent job in organizing and curating the festival. Without her and the countless hours she dedicated in making it a success, it would have never happened. Click HERE to view the video documentary by Marcus Wachsmuth. The video features a new song by Sons of Perdition which will find its home on a future release. We've moved around the last year and our base of operations in the USA is currently located in Arkansas. Our P.O. box is no longer valid, so if you want to send us something, it's best to email us first. As mentioned before, we will be releasing new albums on vinyl. After meeting and discussing our options with CDs, we have decided to not totally discontinue CDs. However we do plan on limiting CDs in the future.